The City of South Lake Tahoe has created the first annual “Light up South Lake Tahoe” for the Thanksgiving weekend. The plan calls for every business owner along Hwy.50, from the “Y” to Stateline, to put up Christmas lights on their business. The City wants all the lights turned on as a “wave” when the fire truck rolls through. 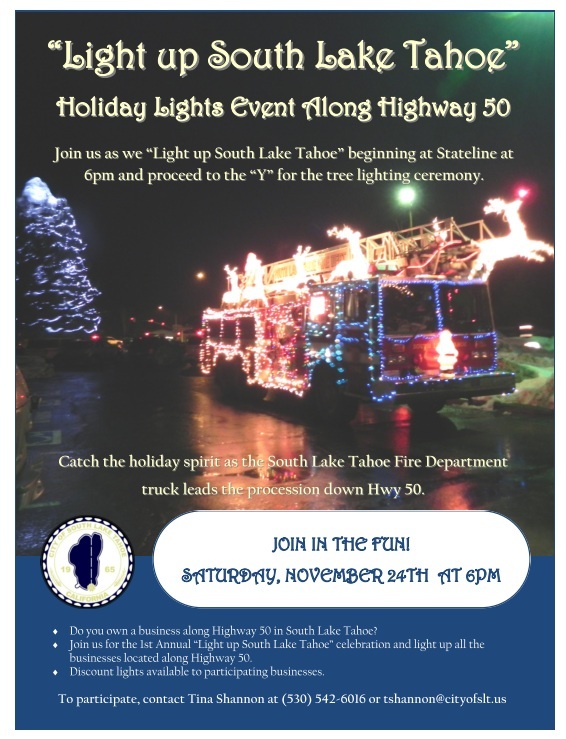 At 6:00pm, a decorated South Lake Tahoe fire truck will roll from Stateline to the Y. 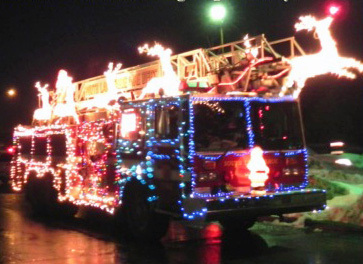 The city is asking owners to turn on their Christmas lights as the fire truck approaches. When the fire truck gets to the Y, festivities will conclude with the annual tree lighting. Cocoa and cookies will be served at the tree lighting. The weather should be favorable for everyone to come out and watch.